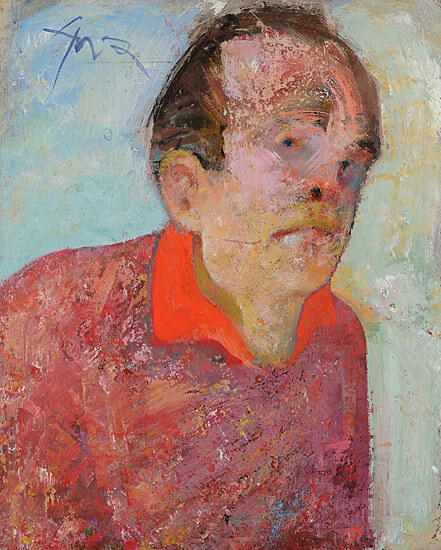 The Weinstein Gallery in San Francisco is currently exhibiting some 45 paintings and works on paper by Hassel Smith (1915-2007), an artist whose mercurial six decade long career has been described by his stepson Mark Harrington as "a sustained high-wire endeavor." The exhibition -- the first major Bay Area show of the artist's work in over 30 years -- is timed to compliment the recent publication of the first comprehensive monograph on the artist: Hassel Smith: Paintings 1937-1997. 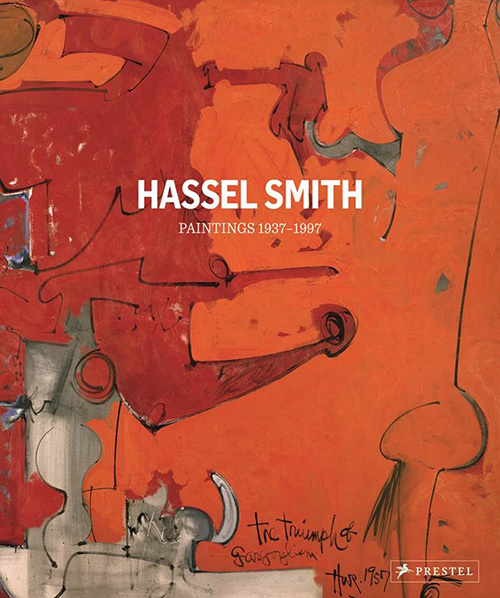 Hassel Smith: Paintings (1937-1997), Edited by Petra Giloy-Hirtz, Prestel, 2012, 212 pages Featuring major contributions by Paul J. Karlstrom and Susan Landauer, along with essays by Peter Selz, Robert C. Morgan, Petra Giloy-Hirtz and the late critic Allan Temko, the monograph makes a compelling argument that Smith's oeuvre deserves re-assessment. Smith would have appreciated the very talented group of writers who have come together to tell his story so completely. Because Smith's work changed quite dramatically over time, evolving through roughly six distinctive styles, looking though the newly published text is a stimulating and revelatory experience. "I believe that people will be surprised at the breadth of Hassel's work," reports his wife Donna. "I think that those who can look at it with curiosity will appreciate what he did. In the book, as in the exhibition, there is much wonderful work that even people who knew Hassel well had little or no awareness of." Hassel Smith, circa 1941-41, photo: The Estate of Hassel Smith Smith first gained notice as a representational painter in the 1940s: his works from that period have an energy and graphic insistence that predicts some of the qualities of the Bay Area Figurative style that his friend David Park would pioneer a few years later. 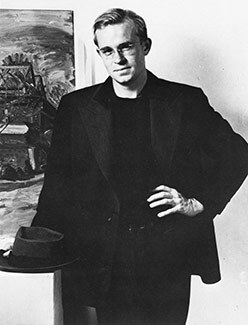 In the 50's Smith -- who was very close to Clyfford Still -- developed the feisty calligraphic abstract paintings that earned him his reputation as an "underground legend." He reached the apex of his career in the late 50s and early 60s when his work was shown in Los Angeles at the Ferus and David Stuart galleries, and when he also briefly taught at UCLA. Then, the cultural tsunami of the Pop Art movement changed the landscape of the art world, and Smith's career lost some of its momentum. Interestingly, several of Smith's superb abstractions from 1960 and 1961 are still in the collection of Irving Blum, the Los Angeles dealer who famously showed Andy Warhol's soup cans in 1962. The peripatetic life that followed after Smith left Los Angeles -- he was back and forth between California and England for many years -- combined with his constant stylistic tinkering, meant that the art world never quite managed to get a read on Smith during his lifetime. Dr. David Anfam, a British curator and scholar feels that Smith's mutability was actually part of artistic and personal strength: "There is something wonderful about Hassel Smith's refusal to stay put in an Abstract Expressionist hold. Like Clyfford Still -- but in a completely different way -- he always seems to have been his own man." During his first year in England Smith painted narrative paintings that Paul Karlstrom describes as "playful, filled with humor, jokes and sometimes sarcasm." More representational paintings, especially of women, appeared in the late 60s, but Karlstrom says that for Smith "it was not a question of a 'representational' or 'abstract' worldview." Smith did what he wanted, the way he wanted, when he felt like it. The fact that Smith had harsh opinions about many artists, dealers and critics -- and that he didn't keep them to himself -- has been cited as a reason that his reputation stalled in the 60s and 70s. "He did turn his back to some extent, on the art world," says Donna Smith "and to some extent, it turned its back on him. But he was a painter's painter, and did not easily play the game with critics or art functions, etc. I think the cantankerous side of him has been over-played." "In an age which exalts not only mediocrity, but outright mindlessness, Hassel Smith's paintings are extraordinary acts of intelligence." "Hassel had a long and debilitating illness and it caused his death. More than that, he couldn't draw or paint after the end of 1997. He was in that condition for nine years. Sometimes I would see him draw in the air, but he could not control a pencil. I think it is a testament to his big spirit that he could live for so many years without practicing his art."